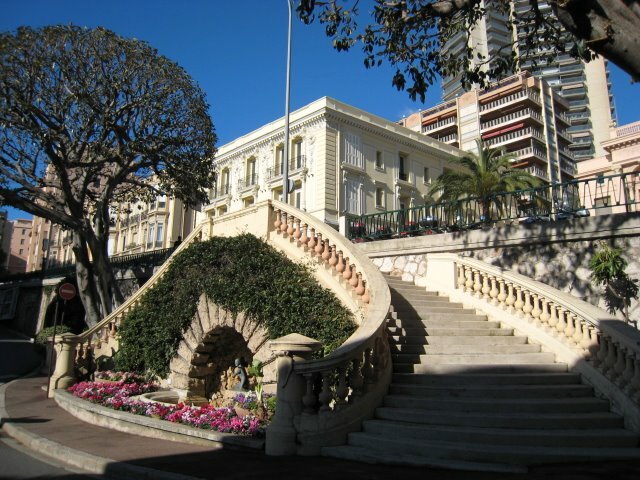 These steps lead to Boulevard Princesse Charlotte which leads in turn to the Boulevard du Jardin Exotique (the beautiful cactus and succulent garden of Monaco). The tall building at the rear of the photograph is the block of apartments called the Le Millefiore, probably the tallest building in Monte Carlo. I like the way the buildings go up in height..making sure the one at the back gets the view too! What a grand stairway! I can see brides and grooms taking photos here.